I love a high protein, high fiber breakfast. The sustainable energy keeps me motivated all morning! 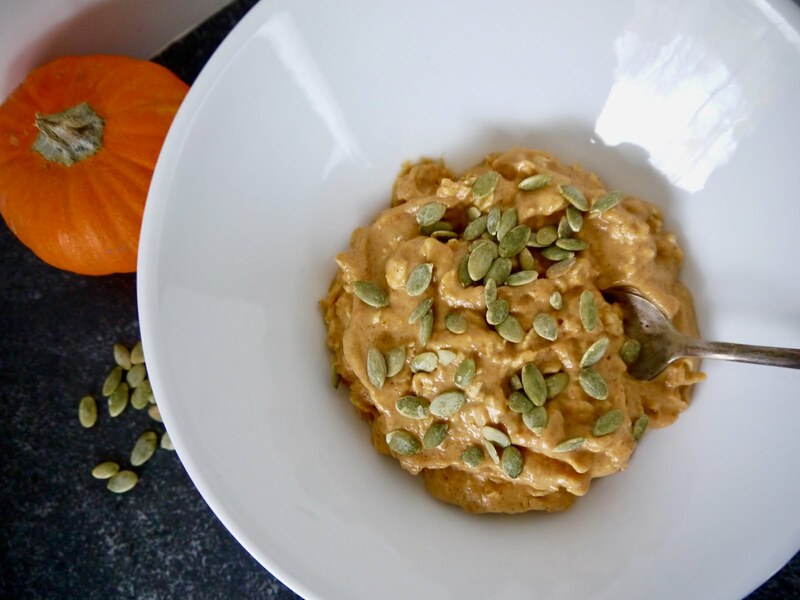 This quick and easy breakfast recipe is an easy meal prep that will give you THREE mornings of pumpkin pie deliciousness. Pro tip: stir in the oats the evening prior to your planned breakfast to keep them from getting "gummy". In a medium-sized mixing bowl combine all ingredients EXCEPT for oats and pumpkin seeds. Whisk until combined. Pour mixture evenly into three storage containers. Cover and refrigerate until the night before eating. Stir in 1/2 cup oats into each serving 8-12 hours prior to eating. Just prior to eating, top each serving with 1 Tbsp pumpkin seeds.